Are you looking for easy and yummy sweet treats for a special occasion or just for fun that everyone will love? This post is full of delicious recipes. All of the following sweet treats are absolutely yummy — and they are also so pretty! Read through all of them so you can decide which one you want to make to surprise your family or friends. Or make them for a bake sale! They’ll be a hit! I think my favorite sweet treats are the churro cream puffs — don’t they just look divine? These are gluten free and no-bake! And they can also be made dairy free and vegan. These are white and dark chocolate oatmeal cookies sweetened with coconut flour. These puffs are sprinkled with cinnamon and sugar, and filled with a cinnamon whipped cream. You only need these four ingredient for these sweet treats. Hint: one of them is yellow cake mix. This is a recipe Landon and I made one day for breakfast. You can make this really fast in the morning. This is a cake I made — after being stuck with a can of almond cake filling. I thought I had bought almond paste. But I made the best of it, added chia seeds, substituted a bunch of ingredients for healthier ones, and voila! 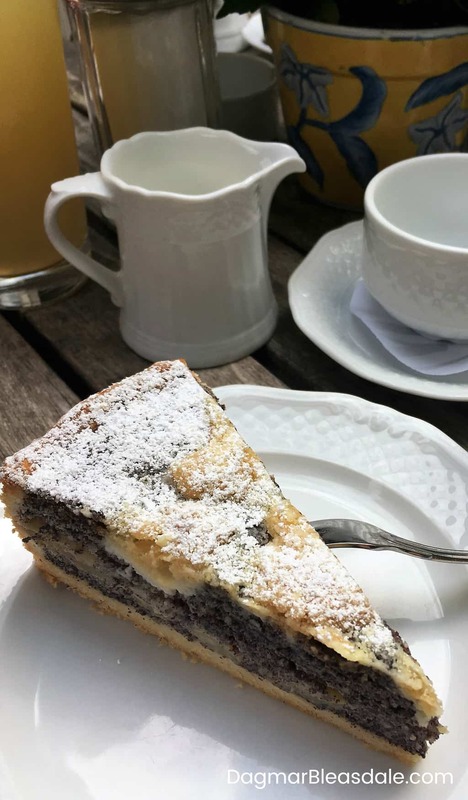 Here is my favorite cake — I eat it every time, basically every day, on our trips to Germany. 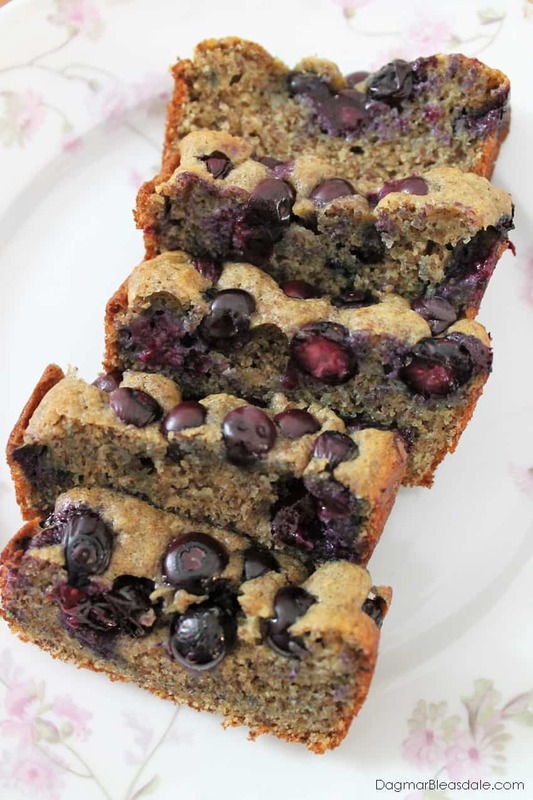 The combination of poppy seeds and streusel is just delicious! 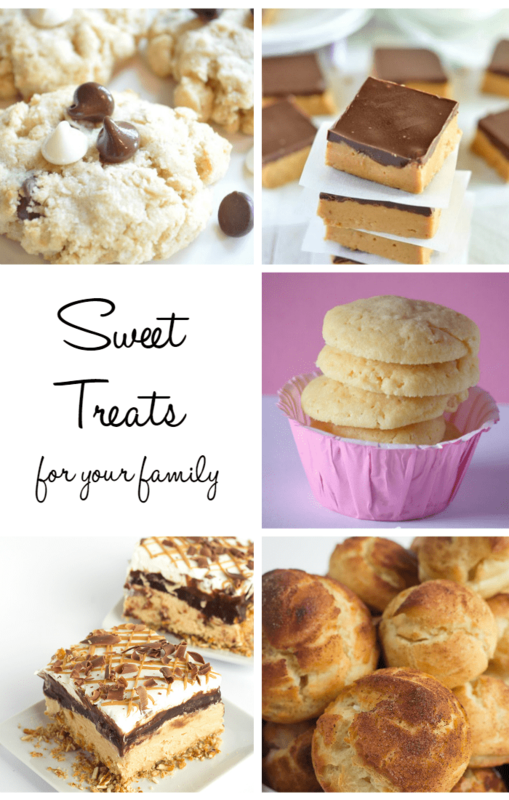 Here are even more sweet treats! THanks so much for featuring my Butter Crisp Cookies! Love spending Wednesday mornings with your party! Thank you! 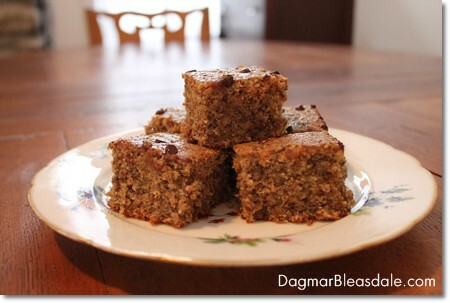 Thank you for featuring my chocolate peanut butter bars this week! Another delicious looking party this week. Thanks for all the sweet treats you’re featuring.